There are many outlandish claims coming from African pastors that attracted online notoriety. One of these claims came from Zimbabwean pastor named Paul Sanyangore. According to Paul, he obtained God's phone number through prayers. A video of him talking to God using his smartphone. He is more known to his followers as 'Pastor Talent'. 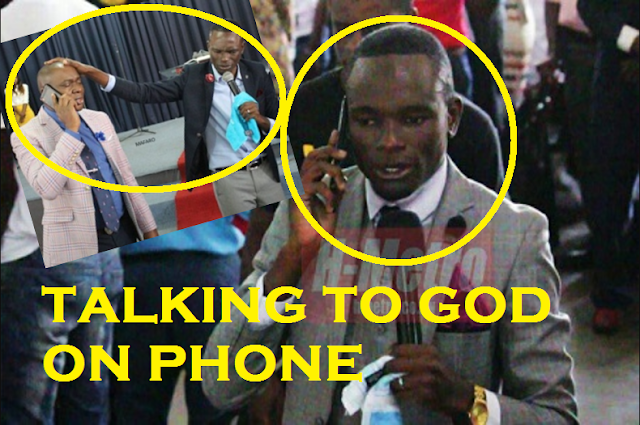 He openly stated that he is willing to disclose God's phone to some of his followers if certain conditions are met. He even made the story of Abraham as an example. If God talked to Abraham or Moses why not us? Paul asked enthusiastically in front of his faithful churchgoers. In one of his heartfelt speeches regarding the Scriptures, he said that if a person really wants to talk to God, he/she must be pure and almost free from sin. The recent string of events involving African pastors sparked numerous reactions among netizens. Some are amused while some are infuriated of how their radical beliefs in spirituality can leave strain to their followers.